With millions of years since its beginning, with thousands of years amongst us human beings and more than a hundred ways to use them, stone is by far the most chic, down- to- earth and best option for flooring. Considering the use of cast stone for flooring? If so, you may have a difficult time in finding the materials that are needed. But, what is very obvious is the fact that cast natural stone is very durable and an excellent architectural product to use in the home. Apart from that, it is also known for its natural beauty, and with the range of colours available, every floor will now be unique. It is the only flooring material that gets better with age, pressure and over-use. 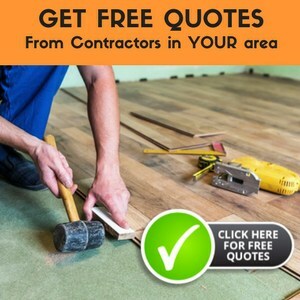 While it is not commonly found as flooring, it can be. The disadvantages of using this type of flooring for a home, though, will mainly be in finding a company to produce it. But, when it is well made and well laid, it will provide beauty and durability for years to come. All though, it is mostly used in kitchens, bathrooms, porch and hallways, there is no reason why you cannot use it in your bedroom or in your office. Consider the fact that cast stone elements have been in use for hundreds of years and that many of the pieces made from it have prevailed even until this day with extraordinary beauty, and you’ll realize the main benefit of using cast stone as a flooring element. This material in its natural state is far more durable and stronger than any fabricated stone out there. But, that too is dependent on the quality of the product that is used. The cast stone materials used in the production of the flooring elements needs to be paid close attention. In the best of the products available, a finely graded aggregate is used with a very low moisture mix. Then, it is hand tamped into molds. Obviously this is a much more expensive product than other forms but the quality is unsurpassed. On the other end of the spectrum are those cast stone elements that are made from concrete in a wet mixture that is then poured into molds to dry. These lower quality options often have trouble with air pockets in the curing process and it is quite possible that you will end up with holes in the finished product. Of course there is a realm of possibilities between these two extremes of cast stone as well. Most of the time, cast stone is used to make ornamental structures. For example, this product is used to make planters and fountains, columns and moldings. But, it can be created into tiling as well. Cast stone can be used in interior and exterior areas equally. Gypsum, concrete and a world of other products can be used in cast stone. What is nice about the use of this material is that it can be custom made to your needs. That means that cast stone colors can be chosen specifically, the shape and cut of the product can also be determined by the buyer. It can be cut into numerous shapes and styles to allow for design elements and patterns that you may be looking for. There are 15 standard colors in use and patterning, mold making and casting can be done onsite in some cases. A few of the colors include pale marbles and black slates. There also exists astonishingly energetic colors like those in yellow, green, blue and pink, all due to the various mineral content. You can choose any type of stone you like and modify it with a high-sheen polish, a matte effect or even a rough weathered effect. The cost of the stone varies with its mineral content, type of finish you prefer and its source. Before you make a decision is choosing stone as flooring, ask yourself the following questions. Does your home have timber floor joists? And are they adept in spite of the extra weight? Stone is cold. So does your home have underground floor heating systems? Does your budget agree with these terms? And the most important question is, do you have kids or pets who might disagree with this remarkable choice of yours for flooring? But here is the icing on the cake, Cast stone, although not commonly used in flooring, can be a beautiful choice to highlight your walls, perfect for bathroom designs and cladding on the exterior of your home. On a brighter note, stone is easy to clean, allergy-friendly and perfect for damp areas. It can be costly only due to the fact that in most cases it will need to be custom made. Nevertheless, the benefits and the durability of it can far outweigh the cost factor. And, it truly can serve as a unique option for a home’s interior or exterior design.